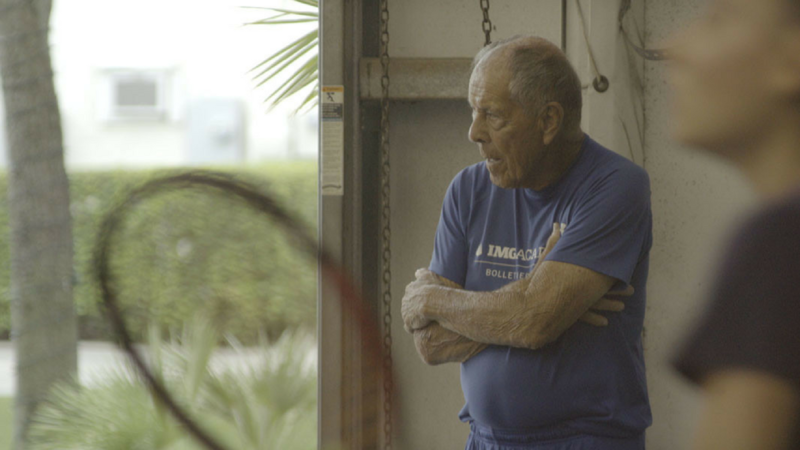 At eighty-five, famed tennis coach Nick Bollettieri is a living legend. At his academy in Florida, he raised a generation of champions. Courier. Seles. Agassi. No other coach has matched his success, his dominance, or his fame. His greatness, though, came at a terrible price. Broken marriages, financial ruin, and perhaps most devastating, a fractured relationship with his surrogate son and most cherished student, Andre Agassi. When Andre refused to participate in a documentary about his ex-coach, a simple biographical film turned into an investigation of a relationship lost. LOVE MEANS ZERO not only tells the story of this celebrated yet controversial coach, but also explores the cost of his all-consuming drive for greatness.